As one of the top brand, Carrier have been in Singapore for many years. Our aircon servicing company are proudly to provide Carrier aircon service, repair and maintenance in Singapore. We have been working together with them through time. Our group of experienced and trusted work force is resolved to give you the affordable servicing package at your convenience. We realize that you shall no compromise your indoor work or lifestyle. That is the reason we are devoted to give good quality aircon services that derive on Carrier maintenance standard. • Cleaning of air-con flaps and front cover. Troubleshooting is another mastery of our aircon service. We will inspect your air conditioning unit according to Carrier checklist. Regardless of how simple or complex the issue is, you will be assured that our aircon service company has the expertise and experience in all air-con related issues. We will trace and pin point the air-con failure. Then we will advise you with the required prescribed repair alternatives before we fix it. Our resolution alternatives incorporate air conditioner parts and labour pertaining to the repair of the aircon failure or aircon replacement if the repair cost exceeds buying new. Foremost brand in Singapore, Carrier can provide the coolest and freshest indoor environment with our air con gas top up. This service is required in the event of insufficient aircon refrigerant. Before we can furnish your air conditioner with gas top up, it is fundamental to check the pressure within and seal the leakage if necessary. Various variables may prompt gas spillage. These may include improper installation, low quality copper tubing and poor workmanship. If that happens, our team will advise you on the various issues handling. When it is done, you can enjoy working or playing indoor with comfort. Standard practice after all services, we will conduct full function test of the aircon system. This is to ensure all air conditioners are in tip top condition before we hand over to our customer. It enhances productivity and thoughts. A lower temperature reduce the proximity of bugs and parasites. Lower temperatures mean less sweating and less stressing. An enclosed air conditioning area prohibits outside dusts. If air con units are all well-maintained, it recharges and enhances air quality. 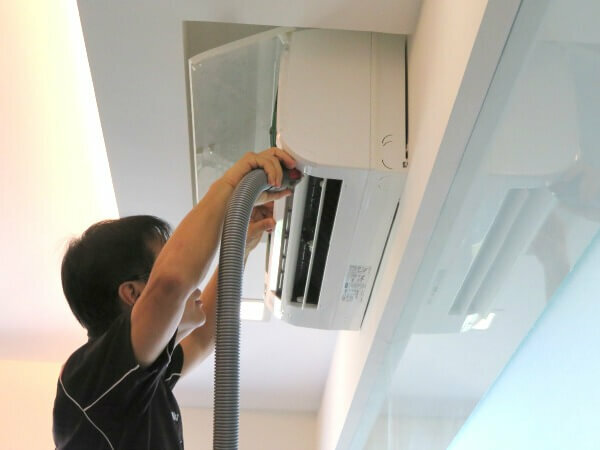 Carrier aircon servicing in Singapore can upkeep your aircon system routinely so as to guarantee less breakdown or major air-con failure. We have servicing packages to help you maintain your Carrier. We also can satisfy customer that owns other brands like Panasonic, Daikin, Toshiba, Mitsubishi, Sanyo, National and etc. Call our aircon specialist now for more inquiry.